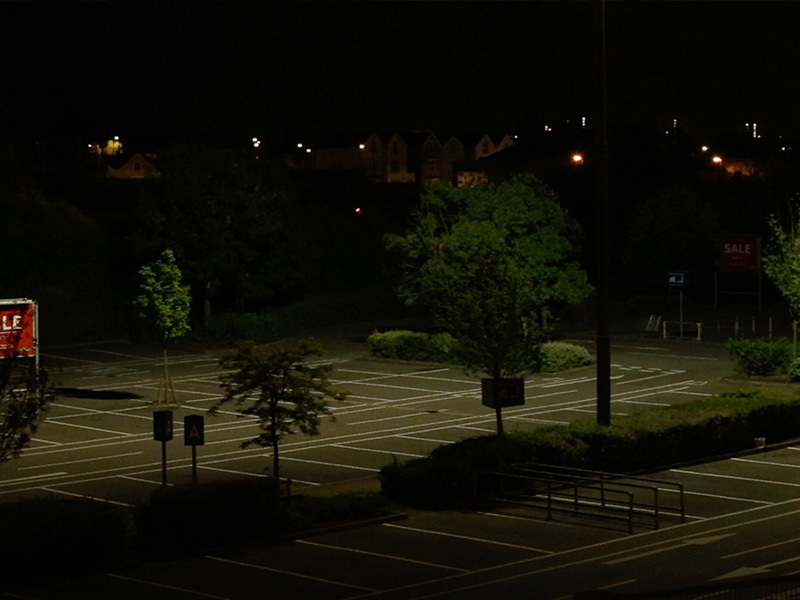 Sleeping in Public is a new collaborative moving image commission, collaborating with writer Ellen Wilkinson for Bristol Museum and Art Gallery. 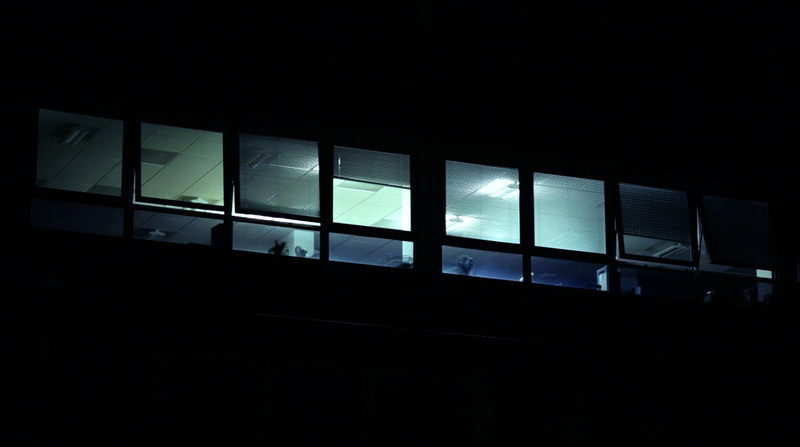 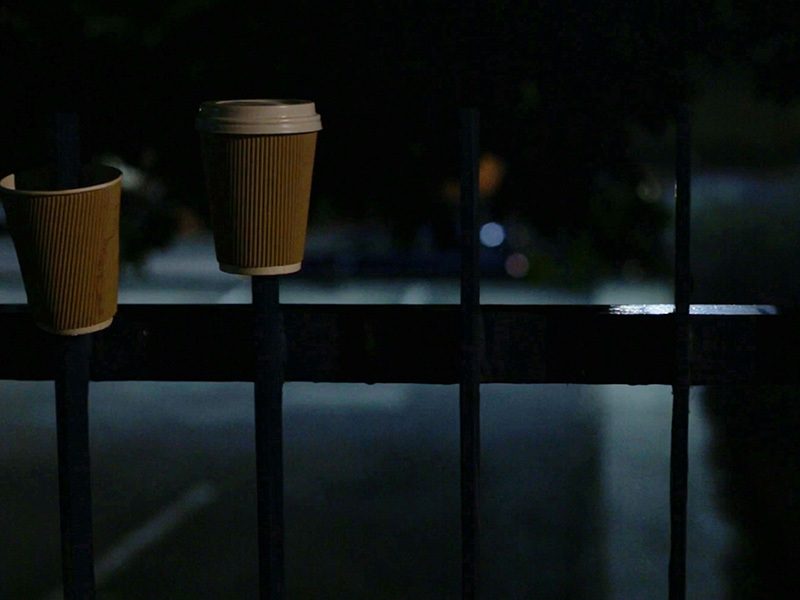 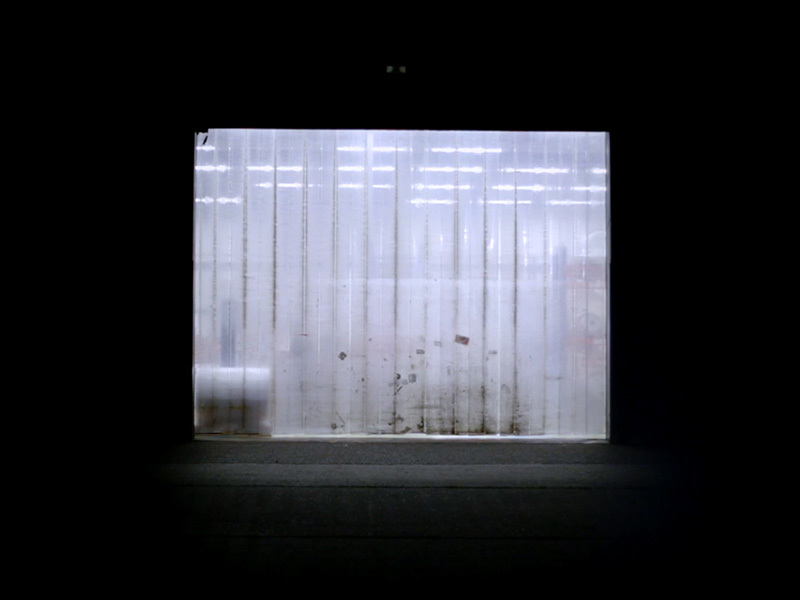 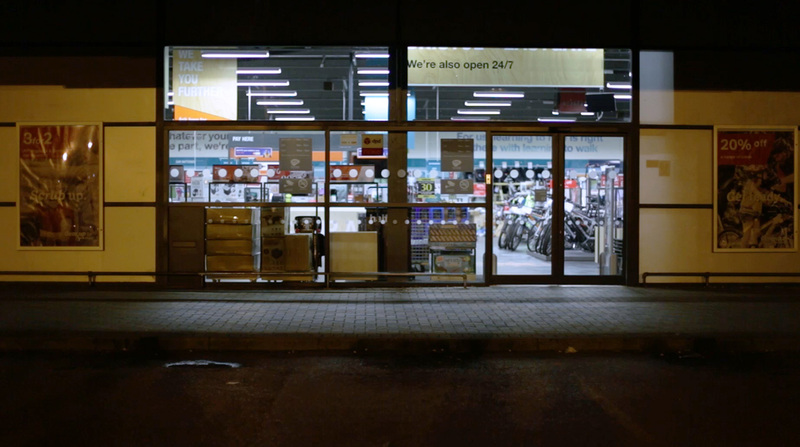 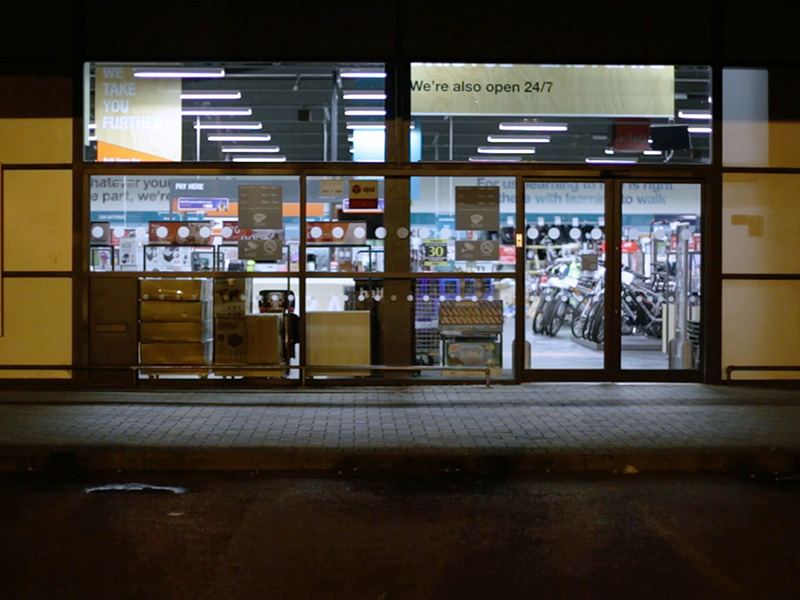 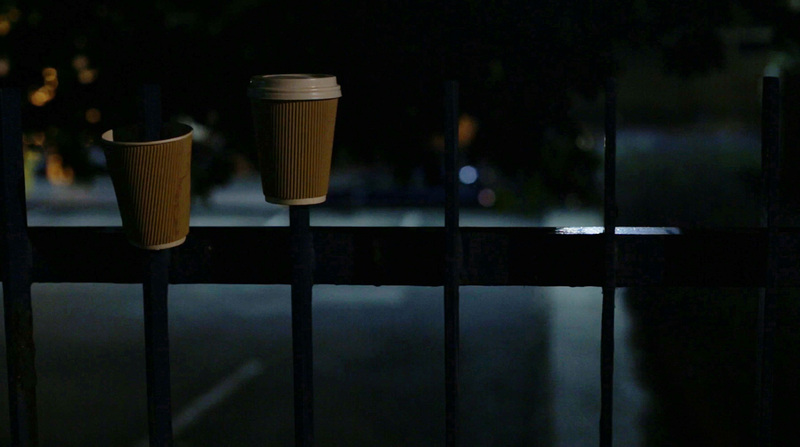 Captured at night in Bristol, the video work shows details of empty spaces: functional but overlooked parts of the city that in daylight would be populated by people working. 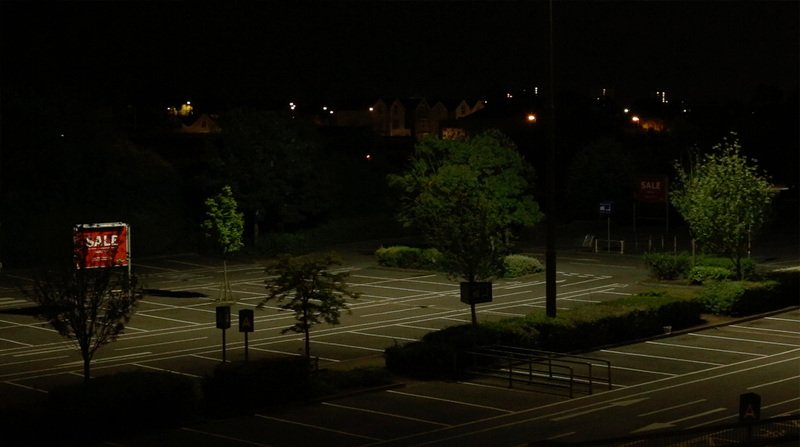 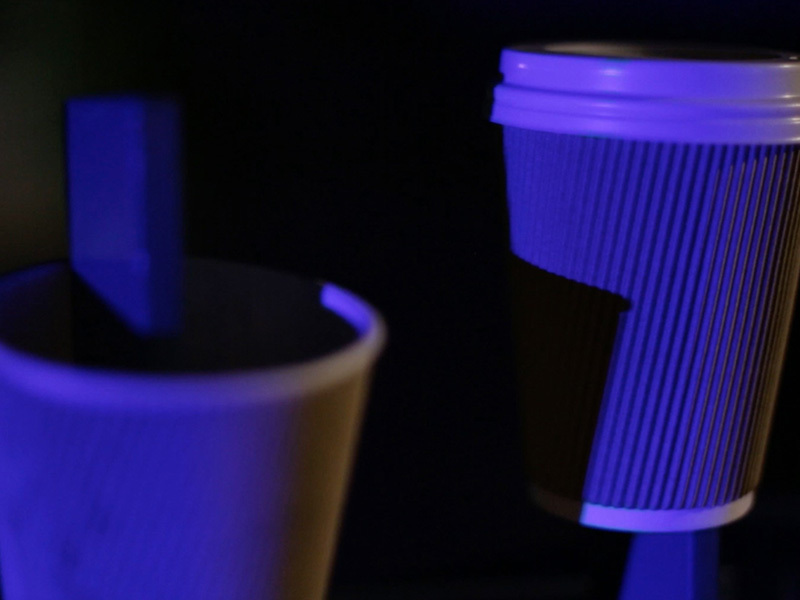 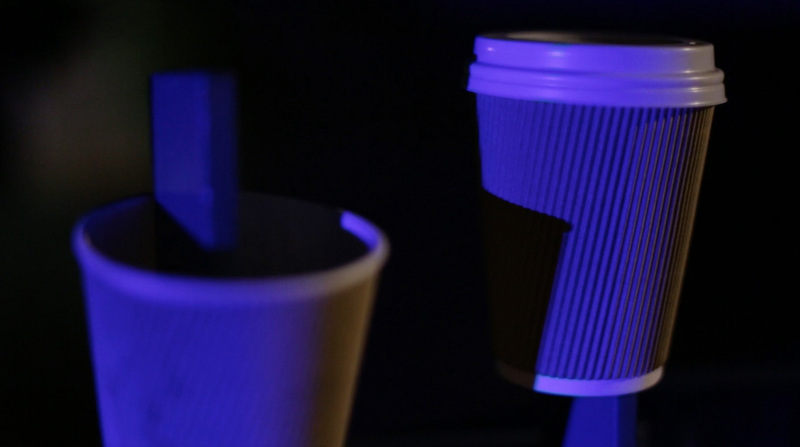 In these dark images people are distantly present: a blurry figure passes behind a semi-opaque loading bay door; chairs wait for sitters to return; discarded paper cups are lit by the blue flashes of an emergency siren; someone wearing a high visibility jacket pauses in the centre of a car park. 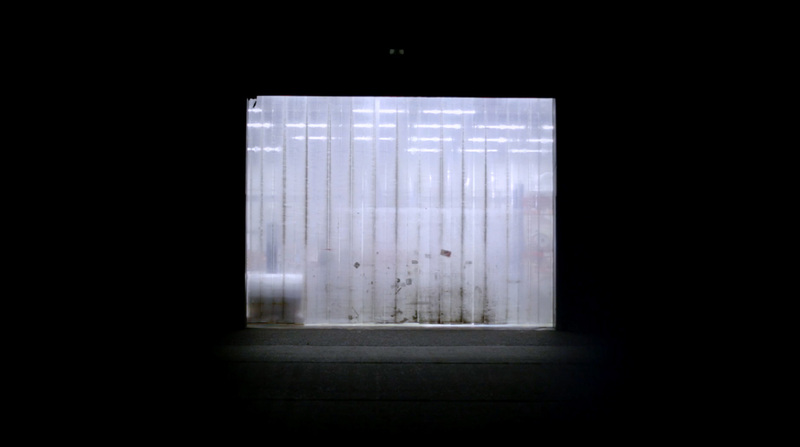 The measured – perhaps weary – voice of the European narrator describes workers in a warehouse of artificial plants and flowers. 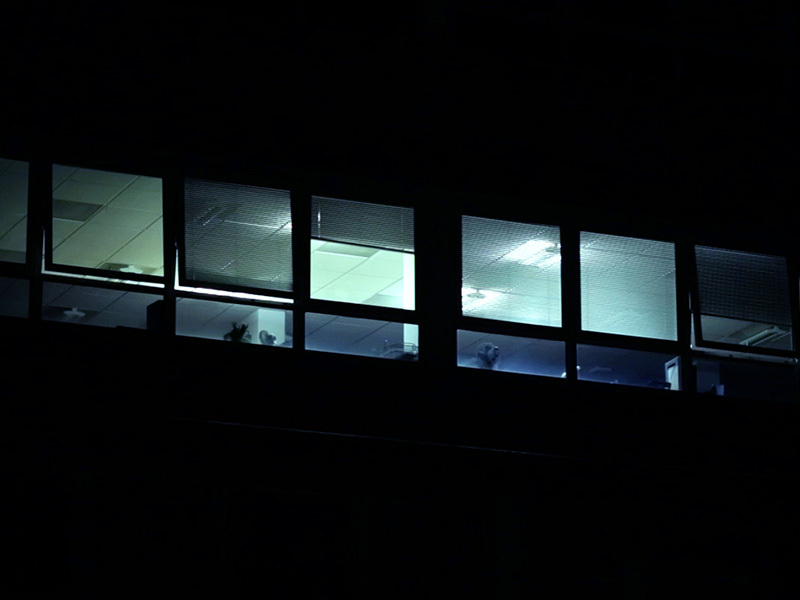 Without a defined beginning and end, this looping video reflects the repetitive nature of the daily work that many of us do, depicting workplace hierarchies and the subtle ways in which people's behaviour is controlled.